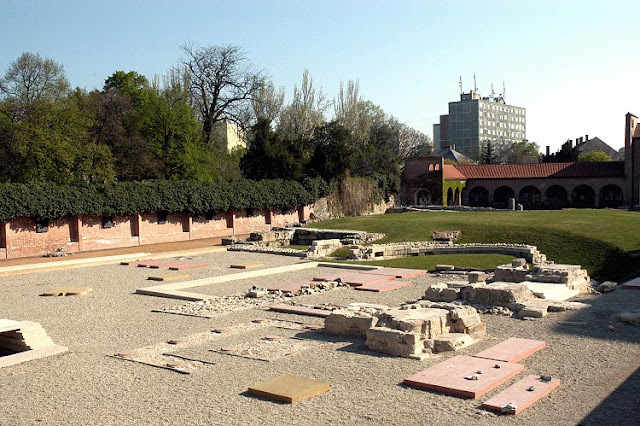 Over six years ago, in August 2010, I started this blog with a brief announcement about changes in the organizational structure of national monument protection in Hungary. That was a time when it seemed that attention to monuments would increase in Hungary, and a stronger national office would take care of the protection, research and restoration of historic monuments. A lot has happened during the last six years - I decided not to report on institutional changes, as there was some kind of reorganization almost every year. The National Office for Cultural Heritage was transformed into the Forster Center for Cultural Heritage in 2012, but its responsibilities changed several times, various tasks were transferred to other agencies, and its presidents came and went several times. Finally, in a decision made last year, the Forster Center was completely closed as of January 1st, 2017. The tasks of cultural heritage management (such as listings, inventory, and archival collections) were transferred to the Prime Minister's office or to regional government offices, while the historic buildings in the direct care of the Center were transferred to a separate state-owned company. It is still too early to tell how this new system will work, but it clearly appears to be a sign of the weakening role of monument protection in Hungary. Work is now largely on hold as the new offices are still being set up and everything is being moved to new locations (this is not transpiring without trouble: it was revealed last week that part of the historical documentation of monuments was damaged when a broken water pipe flooded material waiting to be moved). Several other, similarly fantastic reconstructions of medieval buildings are planned - these usually start as 3D models called "theoretical reconstructions," but are then eventually built. 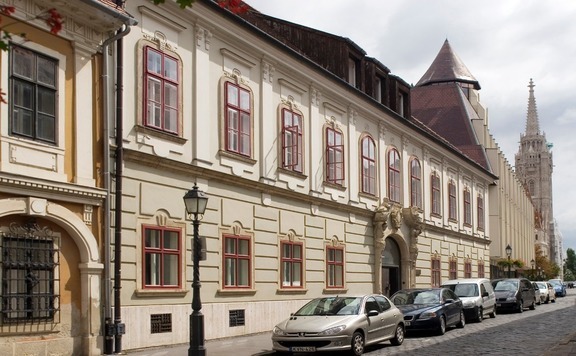 There is talk of rebuilding the former royal basilica of Székesfehérvár, for example. This former coronation church of the Hungarian kings was completely destroyed; it would be hard to decide which of its former states from the 11th to the 16th centuries should be rebuilt (see various reconstructions of the church in this blog post by the Székesfehérvár museum, and details about the reconstruction of its late Gothic vault). It would also be a pointless exercise. There are, however, some promising developments as well. After a break of almost a decade, the Hungarian government last year restarted a program aimed at the preservation, research and restoration of Hungarian historic monuments located outside the borders of modern Hungary. 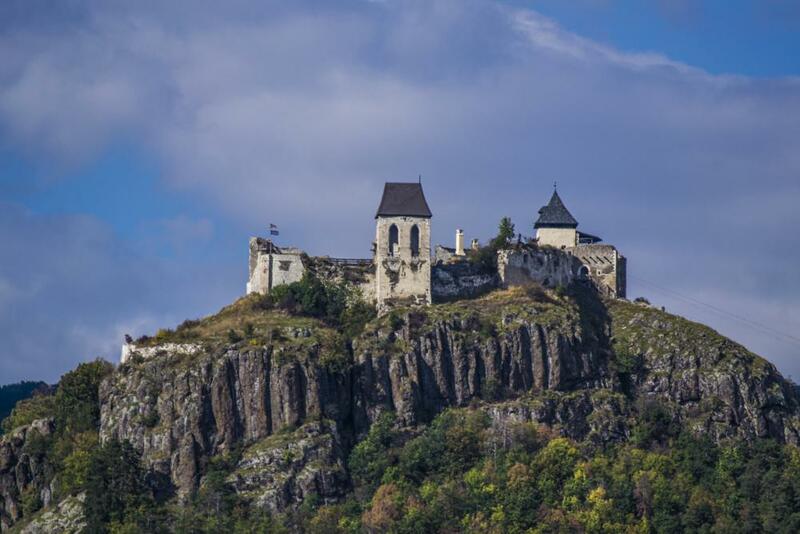 This program largely focuses on the restoration of churches in Transylvania and in the Transcarpathian region of the Ukraine, although monuments in Slovakia, Serbia and Croatia are also included. 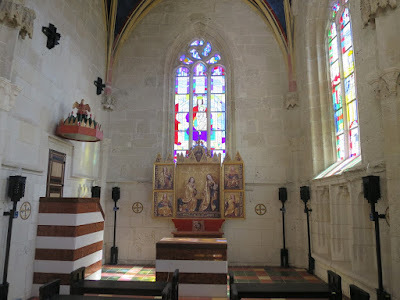 More often than not, the monuments in question are medieval churches, quite often with significant fresco decorations. The first such program, which ran from 1999 to 2006, brought significant results and contributed to saving a large number of historic monuments. Numerous publications chronicle the results of the program - and a book titled Common Space, Common Heritage (edited by József Sebestyén, Budapest, 2013) describes all the monuments involved. 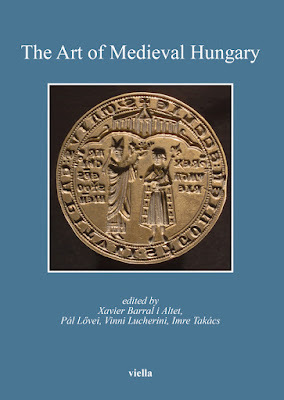 In addition, two books co-authored by me also examined wall paintings restored within the framework of that project. In 2016, a similar program was started under the name Rómer Flóris Project. The project is carried out in cooperation with the Teleki László Foundation, which already proved successful in this field during the 1999-2006 period. After the recent organizational changes, the project now runs under the umbrella of the Prime Minister's office, and after the pilot year of 2016, larger sums have been dedicated to the project in 2017. These sums are usually divided among dozens of monuments, contributing to their research, restoration or - in several cases - to their bare survival. The website of the project provides up-to-date information about work carried out, and even more information can be found on the website of the Teleki Foundation. As in the past, you can expect to hear about results on this blog as well. 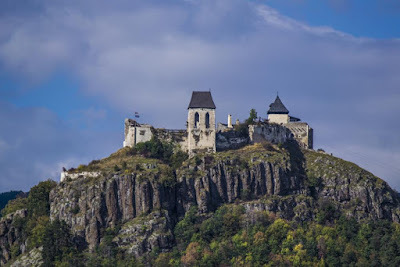 Let me just link to a few earlier posts: There will be a project to protect and make accessible abandoned medieval churches in Transylvania, hopefully also in the Saxon areas. 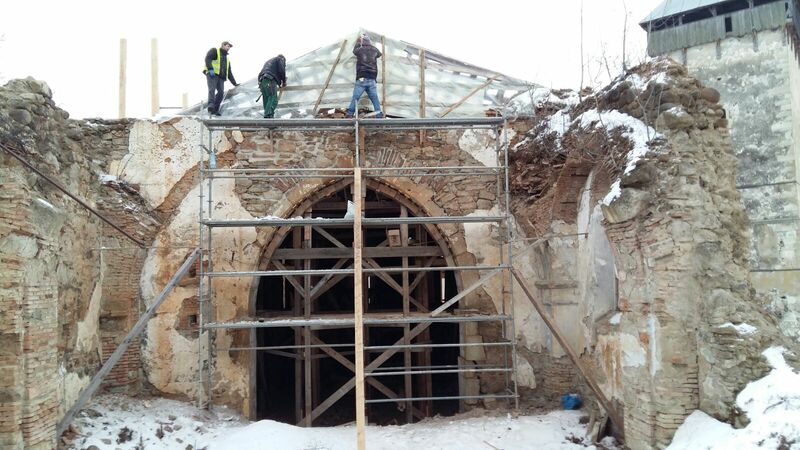 More work is foreseen on the cathedral of Gyulafehérvár and on the churches of Magyarlóna and Kiszsolna - as the latter was finally saved from certain destruction at the end of 2016. 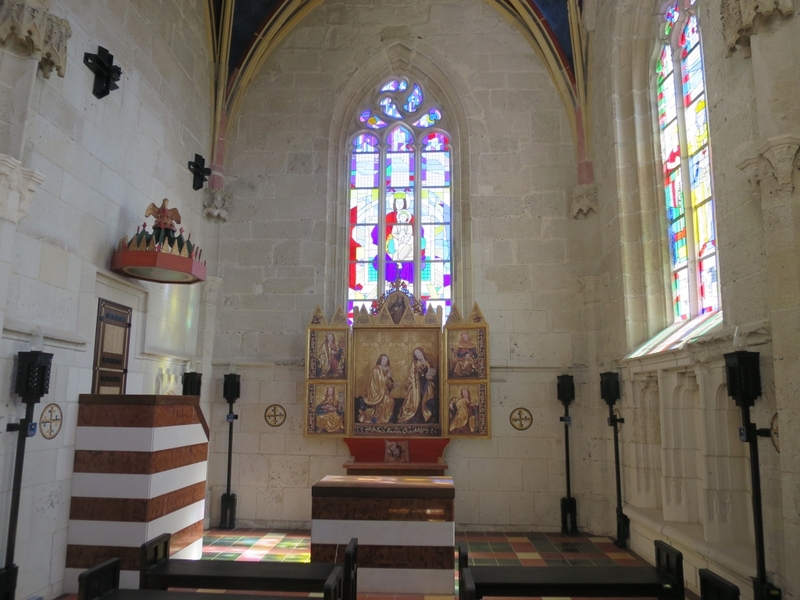 In my mind, this wide-ranging project consisting of numerous small-scale local interventions aimed at preservation and research, is much more meaningful and necessary than over-ambitious recreations of lost medieval buildings. 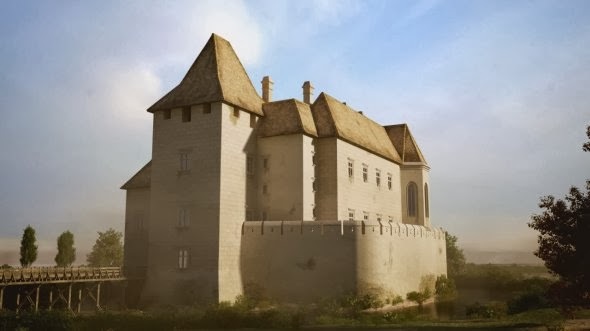 The virtual reconstruction of the castle of Simontornya - a project, which has been in the making for several years - has now been presented with a series of innovative solutions. 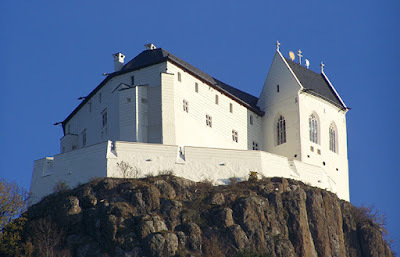 The castle, which was originally built in the late 13th century, was extensively rebuilt at the beginning of the 16th century, and survived in fragmentary form. The virtual reconstruction was carried out by Pazirik company. They made virtual reconstruction of the exterior and the interior of the castle, where it is possible to change the timeline and explore the reconstruction of various periods. There is also a virtual time-travel feature, where you can enter a virtual panorama of the present building, going back and forth from the present to the medieval period. Most recently, a video was presented about the history of Simontornya castle, utilizing the results of all these reconstructions. You can read more about the castle and the virtual reconstruction on the Sírásók naplója blog and in Altum Castrum Online Magazin (both in Hungarian). More information is available on the website of the museum working in the castle today.